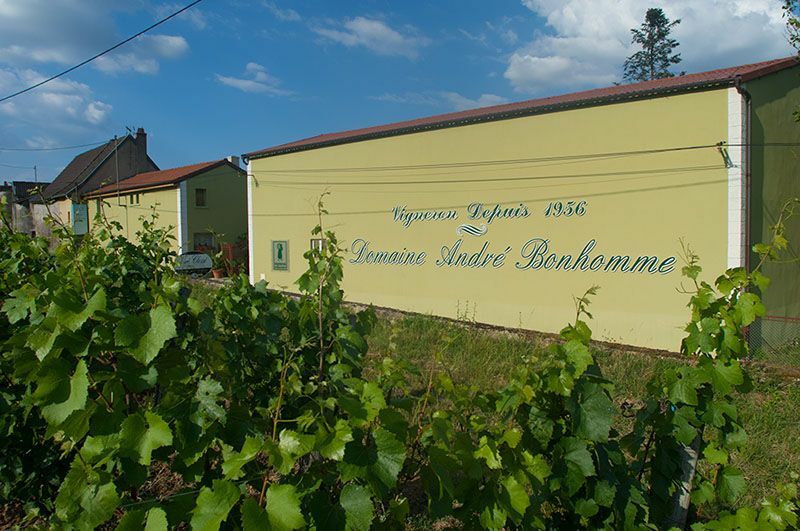 Domaine André Bonhomme - The history of the Domaine, from its creation to today. A family passion since 1956. The Domaine operates in organic viticulture. It was founded in 1956 by André Bonhomme and his wife Gisèle, and then comprised 4 ha of Mâcon Viré, the appellation given by André’s father, Joseph Bonhomme. The beginnings weren't easy, but over the years the Domaine André Bonhomme developed a first-class reputation founded on its superbly-controlled vinification and its consistent emphasis on quality. Thus, for over fifty years, André Bonhomme has played a major role in the Mâcon region not only by being a precursor of estate-bottling, but also by being co-founder of the Vignerons Indépendants of Saône-et-Loire and co-initiator of the recognition of the AOC Viré Clessé. Our domain is one where family tradition is key. 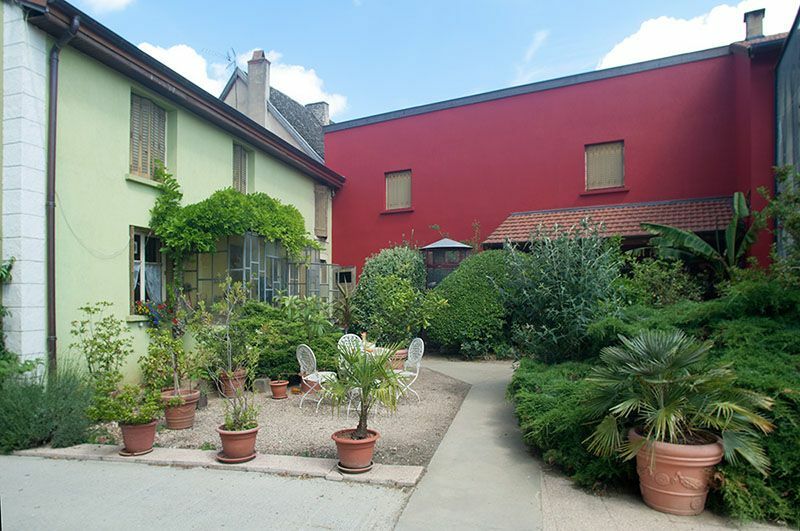 Currently, the estate is managed by André Bonhomme’s son-in-law, Eric Palthey, and André’s daughter Jacqueline, in conjunction with their sons Aurélien and Johan. The Domaine operates in organic viticulture. The estate is located on 12 hectares of the clayey-limestone soil of the communes of Viré and Clessé, with a production of 98% white wine (Chardonnay) and 2% red wine (Gamay). Respect for our product and for our passion for the profession of wine growing have resulted in Domaine André Bonhomme being distributed in many countries throughout the world, as well as nationally, through restaurants, wine merchants, and the many faithful individual buyers over the years, for whom we are most grateful. Our history is our region, reflected in the appellation Viré-Clessé. A very young appellation, born in 1998, is the result of grouping the parcels of the communes of Viré and Clessé for a total area of 430 ha. The appellations Mâcon Viré and Mâcon Clessé were discontinued with the 1998 vintage. This vineyard has long merited its own distinct appellation, since it has a range of such distinct characteristics. Its proximity to the Saône gives it an hygrometry advantageous for the production of sweet and syrupy wines. And our domain’s dry white wines, with their seductive mineral and exotic properties, are not to be outdone. These are wines that can be kept for several years without any problem. Like Pouilly-Fuissé and Saint-Véran, the extraordinary potential of Viré-Clessé establishes its status as a vintage of Mâconnais and as a great Burgundy wine.